60, 60 p. : ill. ; 18 cm. Illustrations engraved by N. Orr. With: Under the trees ; illustrated. -' -~~ ~~ ,: ..- -:. .
by two fine horses, had been approaching. they had come to a halt. from the back. seat as the wagon stopped.
" Has anything happened ?" I wonder how far it is to the next house ?" girl whom they had not noticed before. "Our house is close by," said the boy. people are. The gentleman and lady are Mr.
their own, horses, and a very good time they . brought them to a sudden stop. more they both reached the wagon. able to be on your way again right after dinner." them into her best parlor. selves at home, she bustled away. "Need I stay here, mamma?" asked Lou. - Run along then," said Mrs. Millard. which had escaped the rake. the horses; I am sure they would like it." A TIRED II "'i/E . "thev were here; we might have a game." they were hero"; we might have a game." Why, we can have a game by ourselves,"
found you I'll hide, and you shall find me." face with his hands. Then he began to count. "When I get to thirty," he said, I shall look. So you must be quick." come in. Where is Tom ?" time if he had not happened to cough. "That ought not to be very hard to get,"
as they came near the kitchen door. not like milk better? Here is a nice bowl full." have been found if he had not chanced to. will tell you a story." Oh will you, papa ?" they both cried. shall it be about ?" girl opened it and said, Your supper is ready." bowls of bread and milk. said, and they were away in dreamland. elbow and called out softly, Lou !" 26 .1 TIRED I iEEL. very still we shall get away before they wake." "ver sti w' .hall get away bo t wake"
"I'll help you," said Tom. sitting-room, so they went on to the kitchen. birds in that.cage by the wall." mother, and he had brought them up himself. come and light on his finger. dew that he had better not go. ing about the now empty yard. it was in search of, for it soon flew away. play with his knife and fork. and his sister close by feeding some chickens. tiat this brood of chickens was all his own. was going to buy some tools with his money. wor!-basket that she had seen at the village. I must be off," said Tom. and so save ourselves a long walk." road, but that made it only more fun. often, he said, built little boats out of shingles. trousers up to their knees thoroughly soaked. [ ,:o ,t,,v . :: c4.<3-~7~-. :3~i "... :. village for which they had set out. was a strong smell of grain in the air. made as it tore its way through the wood. very tightly as it grew cold. back of the chair to give her some advice. 11..1-.-- -:-- --; -..__1-_._1.-- __. They looked up as soon as they heard Mr.
thanked her and strolled on down the street. go in and look at them." surprise that was in store for Jack and Polly. deep down in a hole in the trunk. Do squirrels bite ?" asked Tom. your finger like a needle." and they lost sight of him. wonder where Jack is; I can't see him!" head away so that they could not see his face. trot and carried them out of sight. be ready in five minutes." at last she pulled out, by one leg, a doll. Lou went her doll ladyship went also. accident gave quite a shock to your nerves. her rambles she came near the kitchen door. cradle was a bouncing baby girl. farmer's wife. "She has nothing to cry for. She is happy all the day long." to help her, but did not dare to. parasol in her hand. "Put on your hat, Lou,"
perhaps we shall find some flowers or berries." room after they came back to the house. and Polly as soon as they came home. 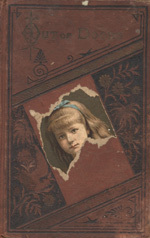 Copyright, 1880, by DODD, MEAD & COMPANY. "Oh, dear! I wish I were a man." want to be a man to-day especially ?" person to whom he was speaking was his father. laughed and told him to wait a few years. you for a couple of months," he said. can, I will take you with me." But how about school, Jack ?" said she. I come back. Do let me go, mamma !" speed, for his father was in haste to be gone. were further on, and fairly into the forests, Mr.
would be well worth taking. When it got to be twelve o'clock, Mr.
mince pie that finished it were very nice indeed.
" You had better make the most of your piece,"
covered up all the traces of the road, but Mr.
BK.own was too old a lumberman to be deceived. powder and ball. "When I get to the camp,"
that will be. Oh! I am so glad that I am here. each other all their lives. ably look about with as sharp eyes as did Jack. log cabins. Jack looked in at the door of one. asleep before he could say Jack Robinson. up was soon ready for whatever was to be seen. sional bark of a dog, or the howl of a wolf. enough progress, the teams begin their work. whirls them around as if they were straws. the saw-mill close at hand. it continues its downward way. That is the way the lumberman spends his life. or sled, which is used in Canada for coasting. shoulders declared that he meant to make one. will see from the pictures that follow. announ'- his determination to try it at once. they watched him they saw a strange sight. to the foot of the hill. that hummock. I'll do it this time." Away he went. This time he held on finely. the men on the hill-top above. Vain triumph ! end of tobo.-- -. !in .i. "down, he would be off to blue water again. ing to fool the boys. ant meal for his wife and children.